All the way back in 2014, Crytek unveiled Hunt: Horrors of the Gilded Age, a free-to-play co-op third person supernatural shooter. The game was supposed to have a beta later that year, but that never came to fruition: Crytek has gone through some major reshuffling over the recently, so it only makes sense that this title would also be subject to that. 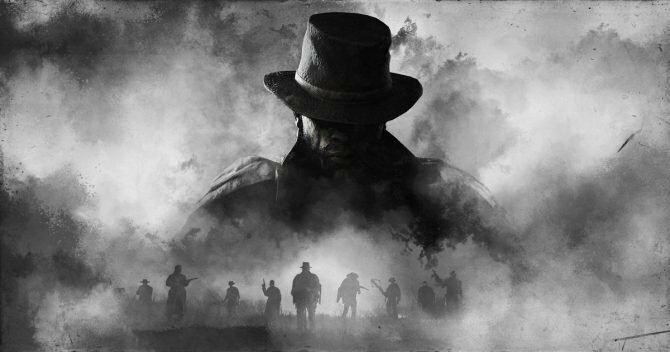 Last month, Crytek announced Hunt: Showdown, a completely revamped version of the original concept from Horrors of the Gilded Age. 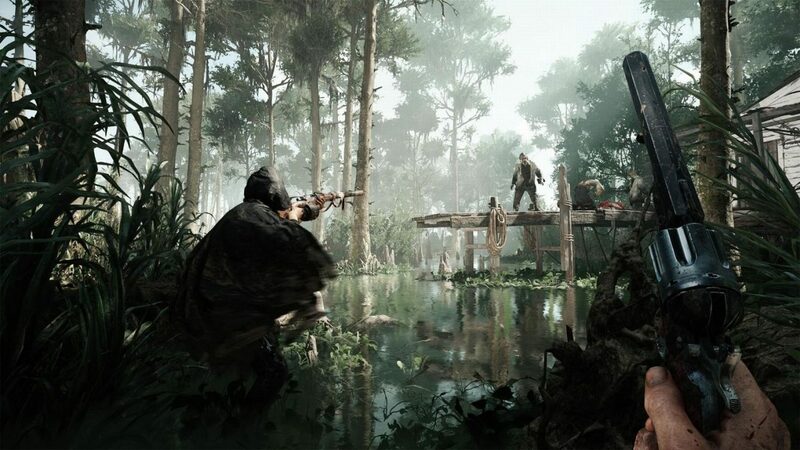 From my time watching developers from Crytek play Hunt: Showdown at E3 this year, I am now optimistic about this title because of the intriguing mix of its beautiful graphics and sound alongside its interesting gameplay concept, which is an ambitious combination of supernatural Monster Hunter-style gameplay with a full-on PvP experience. An ambitious combination of supernatural Monster Hunter-style gameplay with a full-on PvP experience. The level showcased was a disgusting and gritty swamp: the developers said this is because the monsters that players are hunting like to hide in the dirtiest, darkest places on the planet. While the frame rate was a little choppy in what I saw due to the game’s early state, it still looked amazing even with the focus on a darker color palette. The sound design was also very good: the developers explained that they really want players to hear everything in the environment so they can determine what is going on themselves. You can hear gunfire from pretty much anywhere on the map, so players can always determine whether or not they want to rush towards a possible monster fight or player skirmish in order to have greater chance of winning, or if they want to avoid a possible powerful player that just ambushed someone else and focus on their objective. Playing it safe is really important too, as the game features permadeath for players that meet an unfortunate end. The addition of AI controlled enemies scattered across the map will make sure players are constantly on their toes. 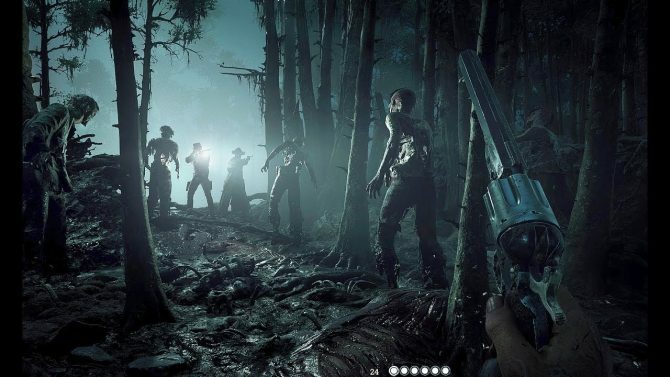 In Hunt: Showdown, players are split into five teams of two, and tasked to track down some sort of supernatural creature, banish it, and escape without getting killed. The Monster Hunter-like aspect seemed to spice up the normal PvP battle royale experience, and the addition of AI controlled enemies scattered across the map will make sure players are constantly on their toes. In the gameplay demo I saw, the developers played it safe, staying close together and avoiding any other players or AI enemies they saw while tracking their objective by using a Detective Mode-style power to sense the dark energy that comes from monsters. Eventually, they were able to track the energy down to a small cabin in the woods that was infested by monsters: they threw a Molotov cocktail in there then to burn the vile creatures to death. After going inside the cabin, they found a little portal which then was used to locate what kind of creature the boss was and where it is: it turned out to be a large, disgusting spider located at a farm north of them. After restocking some materials, they saw a skirmish between players going on in the distance: because they knew this meant they wouldn’t be following them, they chose to run to the farm. 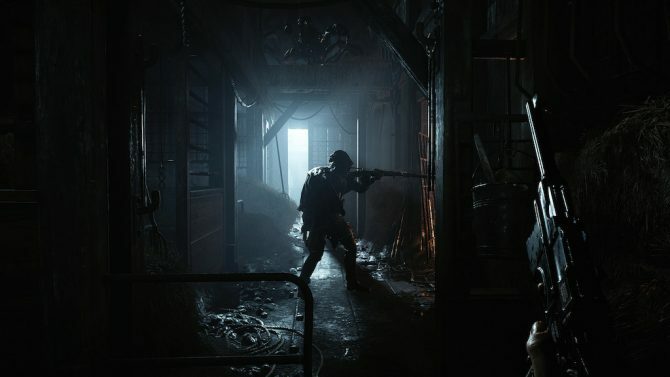 Gunplay looks to be very precise and visceral in Hunt: Showdown, so it doesn’t seem like you can go into each encounter guns-a-blazing and come out unscathed. Once they got there, they had to kill some rabid zombies and dogs to get in. 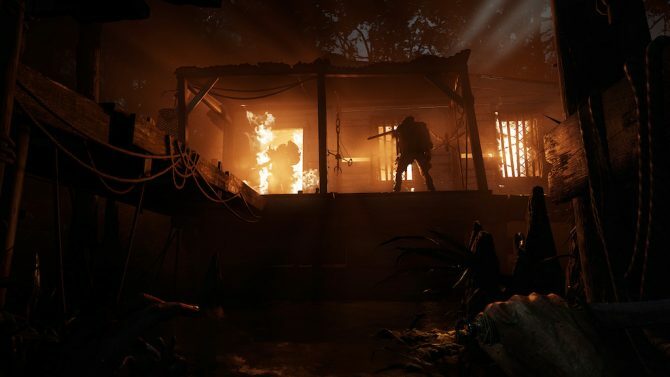 Gunplay looks to be very precise and visceral in Hunt: Showdown, so it doesn’t seem like you can go into each encounter guns-a-blazing and come out unscathed. The developers entered the barn, slowly scouting the place out for the arachnid in order to kill and banish it. It finally revealed itself, scurrying across the roof and walls, and even landed a powerful blow on one of the devs. After a frantic scuffle, the developers were able to kill the spider: one of the players then went up to it and used their powers to banish the spider back to its dark realm. This slowly revealed a bounty, which they were able to pick up. Unfortunately, banishing the spider revealed their current location to all of the other alive players on the map, making them a huge target. The developers also said they could be tracked with the Detective vision ability, though I did not get to see this myself. It blends both monster hunting and cooperative objective-based gameplay into a battle royale-esque PvP experience far different from the game initially unveiled years ago. When the developers waited for the banishing to complete, multiple players were waiting for them: they turned on the farm’s power to expose everybody, and killed a couple of their opponents. Once the spider was completely banished, they were able to make their way to an extraction point without much interference from other players, winning the match. What I saw of Crytek’s Hunt: Showdown has me very intrigued, as it blends both monster hunting and cooperative objective-based gameplay into a battle royale-esque PvP experience far different from the game initially unveiled years ago. 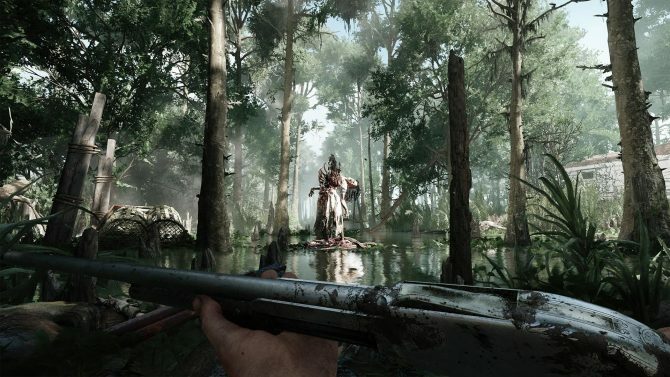 While Crytek has been struggling these past few years, this full-on return to a genre they are well-known for seems like it will serve Crytek well, as Hunt: Showdown seems to do enough to separate itself from other games in the crowded FPS market and has the potential to become a popular title. 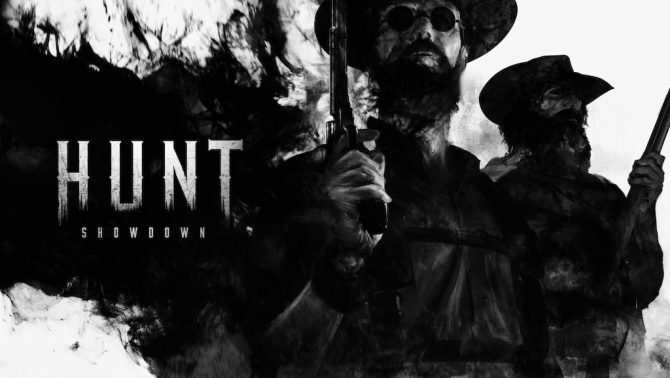 Hunt: Showdown is currently slated to come to PC, with console versions being considered — no release date for the title has been confirmed at this time. 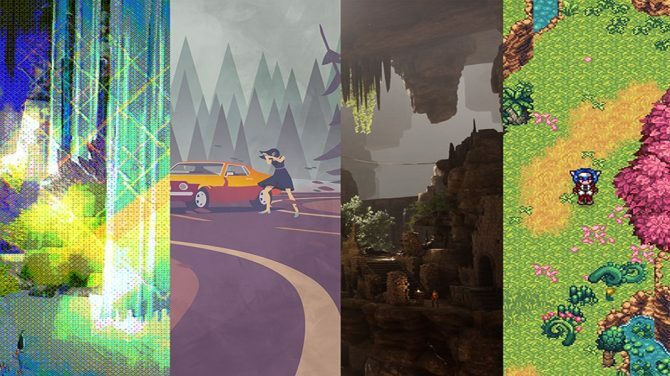 ID@Xbox has announced their full lineup of games that will be playable at GDC 2019 in San Francisco next week, bringing the total to 30.